In 2008, researchers led by a team at Columbia University showed that, by turning on or off production of serotonin in the gut, they could control bone formation. Serotonin signals to cells in the skeleton to slow production of new bone and, by turning off the intestine’s release of serotonin, the team was able to prevent osteoporosis in mice undergoing menopause. The team have now shown that daily oral administration of LP-533401 for 6 weeks is effective both prophylactically and therapeutically against osteoporosis in ovariectomized mice. LP-533401 inhibits tryptophan hydroxylase-1 (TPH-1), the first enzyme in gut-derived serotonin biosynthesis. TPH-1 is mostly expressed in peripheral tissues such as the gut, whilst TPH-2 is the major isoform in the central nervous system. Although LP-533401 inhibits human TPH-1 and TPH-2 with similar potency (Ki ~ 0.7µM) in vitro, it selectively lowers serotonin levels in the gut whilst leaving levels in the brain unchanged, likely because the compound does not cross the blood-brain barrier. LP-533401 and an ethyl ester pro-drug were originally developed to treat gastrointestinal diseases such as irritable bowel syndrome and to reduce chemotherapy-induced vomiting and nausea. Although much work will need to be done before trials can be carried out in patients, the present study, which is published in Nature Medicine, demonstrates that pharmacological inhibition of synthesis of gut-derived serotonin could become a new anabolic treatment for osteoporosis. 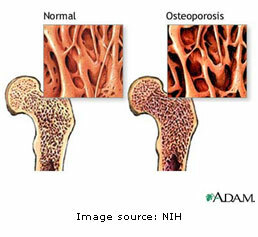 Most osteoporosis drugs only prevent the breakdown of old bone and are not able to stimulate the growth of new bone. And the Thigh Bone’s Connected to…. 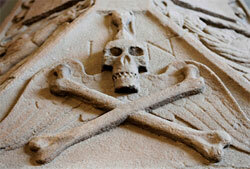 ….not the skull bone, according to researchers in the UK led by scientists at Queen Mary, University of London. 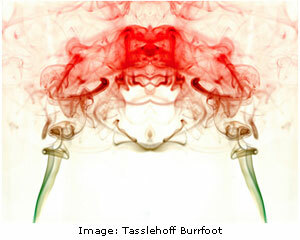 Writing in PLoS ONE, the team describe fundamental differences between bone that makes up the skull and bone in limbs. Although bones in the limbs become progressively weaker as people age, bone mass in the protective skull vault is maintained. Bone mass in weight bearing bones is maintained by a mechanically driven feedback mechanism but, when this fails, bone mass no longer matches demand and fractures are likely to occur. Although parietal bones of the skull are subject to low levels of strain that would cause ‘disuse’ bone loss in limbs, paradoxically skull bones do not lose strength. The skull bones are also resistant to post-menopausal hormonal changes and to glucocorticoid treatment-induced osteoporosis which occur in other bones. Previous research has generally addressed the question ‘why is bone mass lost from weight-bearing limb bones despite continued usage?’ but the new study instead asks ‘how is bone mass and mechanical competence achieved in low weight-bearing skull bones despite continued ‘disuse’?’ Previous evidence had suggested differences between bones in the skull and the rest of the skeleton: mineral density and calcium concentration are greater in the skull and osteocytes in the skull have a more rounded appearance than osteocytes from long bones. 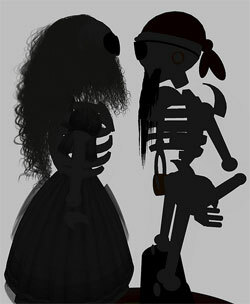 The authors of the present study suggest that cell lineage may contribute, at least in part, to the differences between the skull and other bones. Investigation of basal gene expression identified 1236 genes (approximately 4% of the genome), including genes known to be involved in the formation of healthy bones, that were at least two-fold differentially expressed between ulnar limb and parietal skull bone. Since genes associated with bone mass and mineral density are differentially expressed in functionally distinct skeletal sites, better clinical outcomes following grafts and tissue engineering/regeneration protocols might be achieved by site matching of bone source to recipient site. The authors hope that it may also be possible to exploit their findings to develop new ways to treat or prevent osteoporosis. 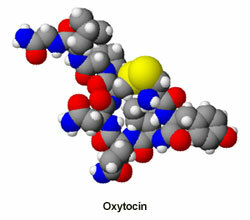 Research recently published in the journal PNAS describes a new role for the hormone, oxytocin. This nine-residue peptide is best known for its role in female reproduction and in mediating trusting behaviours and emotional experiences, but the new study reports a key role in bone metabolism. Deletion of oxytocin or the oxytocin receptor caused osteoporosis in both male and female mice. The underlying mechanism in osteoporosis is an imbalance between bone formation and bone resorption. Under normal physiological conditions, bone undergoes constant remodelling by osteoclasts which resorb bone, and osteoblasts which deposit new bone. Oxytocin was found to stimulate differentiation of osteoblasts to a mineralising phenotype by up-regulating bone morphogenic protein 2. The effect of oxytocin on osteoclasts was found to be more complex – on the one hand, osteoclast formation was stimulated but, on the other hand, bone resorption by mature osteoclasts was inhibited. The discovery that oxytocin plays a role in regulating bone mass could have implications for the treatment of osteoporosis, a condition that affects one in three women and one in twelve men. Oxytocin itself is not orally bioavailable and is administered either by injection or as a nasal spray but a number of groups are developing orally bioavailable non-peptidic oxytocin agonists. Sphingosine-1-phosphate (S1P), the product of phosphorylation of sphingosine by sphingosine kinase, is an important lipid signalling molecule for which biological functions continue to be defined. A new study by researchers working at the National Institute of Allergy and Infectious Diseases (NIAID) has now demonstrated a key role for S1P in bone remodelling. This process involves two major types of bone cells: osteoclasts, which break down bone and osteoblasts, which make new bone. Bone resorption and bone formation are normally finely balanced but, in conditions such as osteoporosis and rheumatoid arthritis, osteoclast activity exceeds osteoblast activity leading to a net decrease in bone density. Immature osteoclasts circulate within the blood and migrate to the surface of the bones, where they mature and start to degrade the bone matrix. These immature cells were shown to express functional S1P1 receptors and migrate along an S1P gradient in vitro. 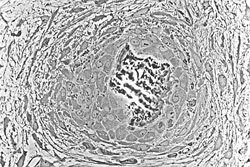 Specialised imaging techniques were used to show that the S1P1 agonist, SEW2871, also stimulated motility in vivo. In a mouse model of postmenopausal osteoporosis, treatment of ovariectomized mice with the S1P1 agonist, FTY720, reduced osteoporosis by reducing the number of mature osteoclasts attached to the bone surface. FTY720 also acts as an immunosuppressant by preventing egress of lymphocytes from the lymph nodes, and is undergoing phase III clinical trials for the treatment of relapsing-remitting multiple sclerosis. Most current treatments for osteoporosis target mature osteoclasts, and regulating migration of immature osteoclasts to the bone surface may offer a new approach to treating the disease. The study, published in the journal Nature, was available online on February 8th. Bone is living growing tissue and is remodelled constantly throughout life. The process involves two major types of bone cells: osteoclasts, which break down old or worn bone and osteoblasts, which make new bone. If the amount of new bone equals the amount being dissolved, bones remain strong but, if resorption exceeds new bone formation, the bones become weak and fracture more easily, a condition known as osteoporosis. The balance tips in favour of bone loss at about age 30 and, for women, bone loss is fastest in the first few years after menopause. It had been thought that the skeleton controlled bone growth, but scientists at Columbia University Medical Center have shown that bone growth is controlled by the neurotransmitter, serotonin, which is produced mainly in the gut. The study had initially focussed on two rare human diseases, one that causes drastic bone loss and one that causes extremely high bone mass, which are both caused by a mutation in a gene called Lrp5. The team found that Lrp5 regulates synthesis of serotonin in the gut and that, by turning on or off production of serotonin in the gut, they could control bone formation. Serotonin signals to cells in the skeleton to slow production of new bone and, by turning off the intestine’s release of serotonin, the team was able to prevent osteoporosis in mice undergoing menopause. Most osteoporosis drugs prevent the breakdown of old bone but do not increase the formation of new bone and reducing serotonin production in the gut could provide a novel way to treat osteoporosis. In the United States alone, 10 million people have osteoporosis and 34 million have low bone density. The study is published in full in the November 26 issue of the journal Cell.